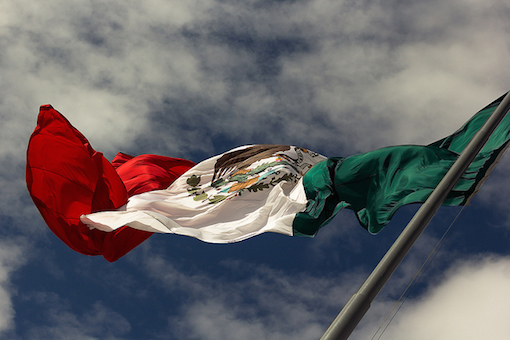 It’s Cinco de Mayo, a day that celebrates the Mexican victory in the Battle of Puebla, where the Mexican army defeated the imperial ambitions of Napoleon III’s France. You more likely know it as the time of year when advertisements for Mexican beer are everywhere and margaritas and tequila are over-represented at bars. But I’d like to use the opportunity to talk about Mexican tobacco. A few days ago, my colleague mentioned his preference against San Andrés wrapper—”I’m more than ‘not a fan’ of the Mexican San Andrés wrapper” he wrote—and I find myself in much the same boat. Tell me nothing more about two cigars than one has a San Andrés wrapper and one does not, and I’ll pick the non-Mexican leaf. My problem, and this a personal preference, is with the gritty, dry flavors frequently absent any significant sweetness and occasionally with a acidic twinge. For a while I thought this may have been a historic bias against Mexican tobacco, but I’ve tasted enough cigars (including blind) to know it is an accurate perception. Mexican tobacco’s history plays a role in its reputation for rough, gritty cigars. For years, while the country did export tobacco to be used as a component in many well-known cigars (Macanudo, for example uses a San Andrés binder), cigars produced in Mexico were almost exclusively puros, because tax rates on imported tobacco were prohibitively high. The result was puros (primarily Te-Amo, which had a big following; if you grew up in New York City in the 80s and 90s, as I did, Te-Amo was a name you saw prominently featured at bodegas and newspaper stands) made by the Turrents, the first family of Mexican tobacco. Those cigars were notably rough and strong, and had only a niche following. Today the Turrents are severing old ties and rebranding (and I look forward to seeing what they produce next). Mexican wrappers are being used more than ever, but less than ever in Mexican puros. The price of Connecticut Broadleaf has turned many cigarmakers to Mexican San Andrés wrappers as a source of Maduro. To that end, some cigars with San Andrés wrappers are some of my favorites, including Drew Estate’s Undercrown, Illusione *R* Rothchildes, and Tatuaje’s The Face Halloween blend. These cigars, whether through aging or blending, overcome the aspects of the San Andrés wrapper that I often find off-putting. Not to mention the persistently whispered rumors that Padrón uses Mexican Maduro wrappers without disclosing it, although significant skepticism is advised since no one seems willing to put their name to the claim. So I’ll continue to try new cigars with San Andrés wrappers or other Mexican components. In fact, I wish cigarmakers were experimenting more with different wrappers grown in San Andrés like the Habano wrapper used in the A. Turrent Revolution. And yet (just as my taste in red wine is generally not for merlot, although occasionally one really impresses me) I remain slightly biased against San Andrés wrapped cigars, not because they are bad, but because my personal preference is such that it takes an exceptional example to impress me. P.S. For a more traditional Cinco de Mayo reference, checkout my Margaritas recipe. To me San Andres is the bad aspects of conn broadleaf without the best parts. Patrick, Just curious What are your thoughts are on Mi Amore’s? Thats a San Andreas that I personally really enjoy. Like you, I am a huge fan of Undercrowns as well. I really like the Mi Amor Reservas and the Undercrowns are a much better value to me than the Ligas. Yes, there’s no doubt that the San Andrés wrapper has become the popular wrapper of choice these days for new maduro smokes.